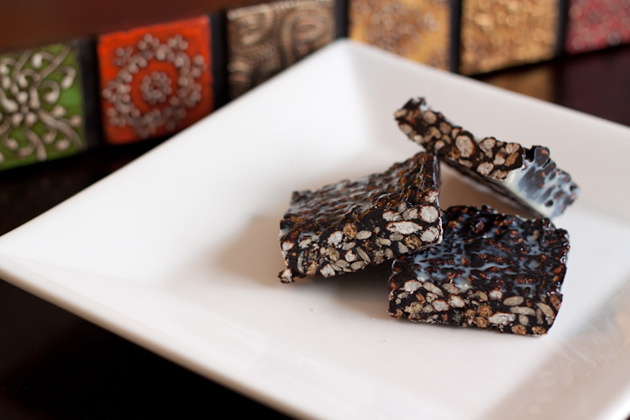 Essentially, cacao is a super-food and will contain a lot more health benefiting nutrients than carob. 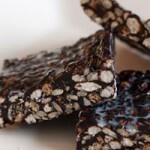 Having said that however, carob is less acidic, so it really boils down to what your health goals are. For me, it’s about variety so, I say… bring on the alkalizing treat! 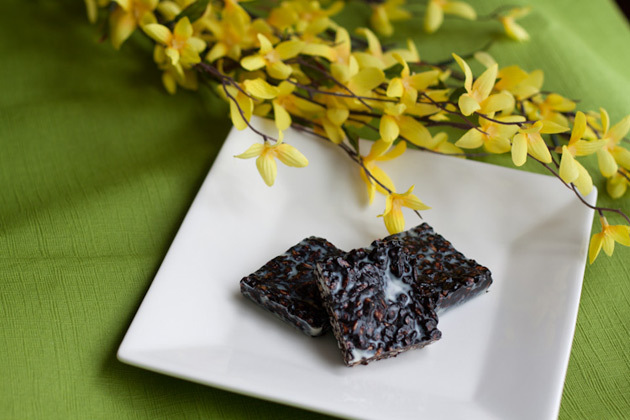 Sweet and chewy carob squares packed with coconut oil and crunchy rice. Optional: make into bite sized balls instead of bars. They’re a bit easier to eat, and in a smaller portion.